The unique designing of this Luxury Paradise is credited to Singaporean design house Miaja, who specializes in styling exclusive properties that reflect the beauty and charm of the surroundings. Appreciations to Miaja for designing a next level luxury 67 double storey residences each featuring a private pool. Villas on this property are at least 350 sqm. 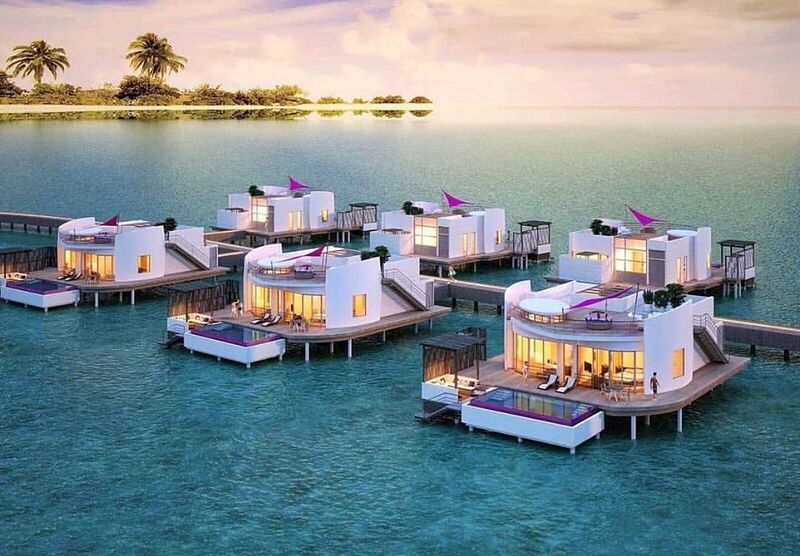 Each residence lies right on the beach or over the water. The villas are spacious and has room for plenty of things to do. You can make yourself feel home in these villas. In every residence there’s a rooftop that you can relax, enjoy, and stare at the beautiful sea view of course. You can have the best escape, have a barbecue in your own penthouse villa, and stargaze using a telescope that’s also in your personal villa. A bartender will be at your service with one call away. Sipping cocktails with a view, isn’t it to die for? Last but not least, enjoy the oversized bathrooms with bath and couples rain shower. LUX* has different dining rooms in different uplifting environments. Barium is the private dining room with a knockout underwater fish tank. You can arrange a private dinner for you and your friends here. Glow restaurant is an international world cuisine, that has showcases of European classics, Italian and Spanish delicacies through to south east Asian specialties. INTI guides you on a delicious journey through Peru and japan, the height of truly bespoke taste is hidden in the opulent chamber of Barium, while Beach Rough provides a foot in the sand, sea breezy scenario to take you from day to night. You can enjoy Sipping cocktails by the night and enjoy the rooftop shisha bar. LUX*’s special wellness program includes a special two hour treatments for twosomes including body scrubs, massages and aromatic bathing. The treatment rooms are located right over the water in view of where the ocean tides strike. You can also make a request to the spa team to provide you the treatment in your villa or the rooftop for a calming experience with sound of waves. Different excursions are available in LUX*. Get the best experience by the help of a resident marine biologist. Discover the marine life to the fullest. You can see turtles, spotted eagle rays, banner fish and reef sharks who are all visitors to the house reef. Different activities are organized for different experience levels. Water sports activities, range from jet ski, semi submarine or fly boarding adventures or host SUP sessions and kayaking tours. If you wish to take the water excursion to another level you can charter a private yacht to a nearby sandbank, which can be docked right at your water villa’s terrace. LUX* promises you an unlimited hospitality and wonderful services. 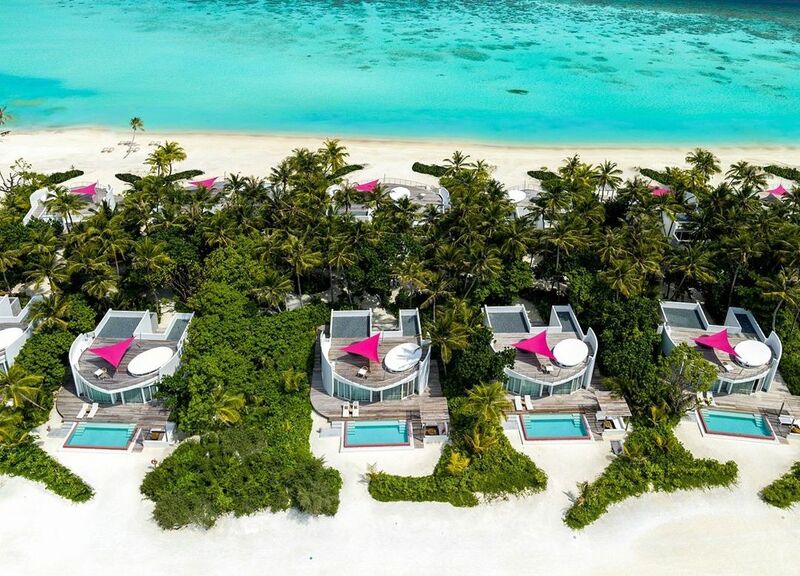 Therefore, take a break, get your summer clothes on and join LUX* North Male Atoll for your next best vacation!